The new technology OTO HSU tube mill (hollow shape universal forming mill) has been in development since 2009. It is specifically designed to produce square and rectangular tubes for the construction industry. This mill will produce HSU tubes at a lower production cost through direct forming, skipping the traditional step of constructing round tubes and then squaring them. The OTO HSU line is composed of the mill with forming stands that allowing for strip bending at precise angles for the first bend and second bend. The remaining equipment consists of a high-frequency welding stand, a scarfing unit, cooling and sizing sections, as well as straightening and cut-off units, and a packaging system. The main benefit of the OTO HSU technology is the capability of frequent production changes without a roll change. The range of products can vary from a minimum size of 20x20 to a maximum size of 140x140mm within a range of four mills, with a maximum production speed of 120m/min. “This new technology guarantees the possibility to produce hollow shape tubes within a large range of dimensions and thickness without changing rolls. 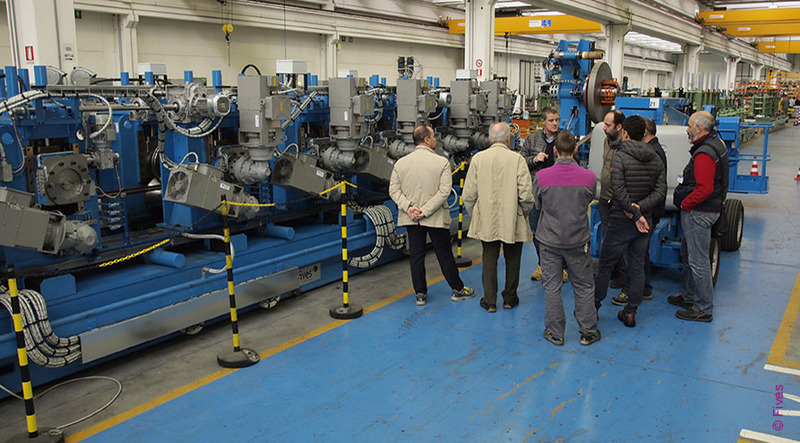 Therefore, it substantially saves set-up time, reduces investment cost in different types of rolls and required floor space for rolls, as well as it minimizes operator tuning”, says Andrea Anesi, Operation Director of Fives OTO S.p.a., a concept designer of the OTO HSU mill.